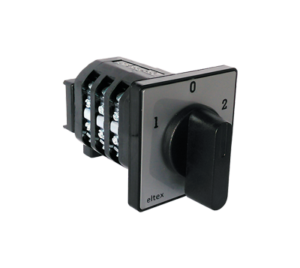 Cam Switches – ELTEX d.o.o. 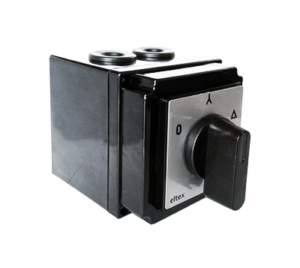 Cam switches MN are made from 10 to 1200 Amperes with the unlimited possibility of combinations in fitting. The switches offer various incorporation options, and they can satisfy different needs in the low voltage part of transformer substations, distribution boards, cabinets etc. Even with the small dimensions, the switches have a great interruption power, mechanical and electrical lasting, endurance for short-term overload and in combination with fuses it also has high resistance to dynamic currents of the short circuit. Cam switches were constructed by the principles and achievements in the field of power switching devices, with the use of the highest quality isolation materials and parts of contact elements. The main integral parts were standardized in serial production, so with the use of standard parts a switch for any program of connecting can be made in a very short period of time. 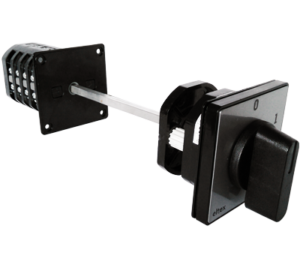 as motor switches they can be easily fitted, controlled and can move three-phase and single-phase motors and they can also be made as a star-delta switch, a reversing switch, a switch for multiple-speed motors, etc. group switches for fitting of heaters, etc.